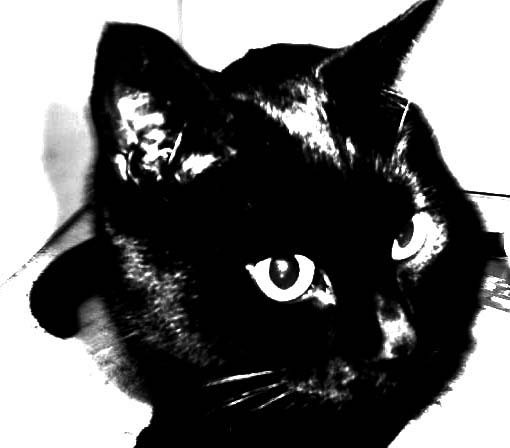 Happy Halloween everyone- from Buddy the black cat! Buddy is available as a necklace, brooch (laser cut acrylic or wood), a print, greeting card, mirror, mini badge and more. 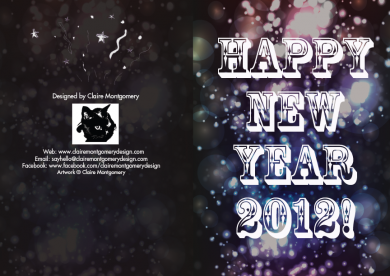 Email sayhello@clairemontgomerydesign.com if you’d like to order any or find out more! 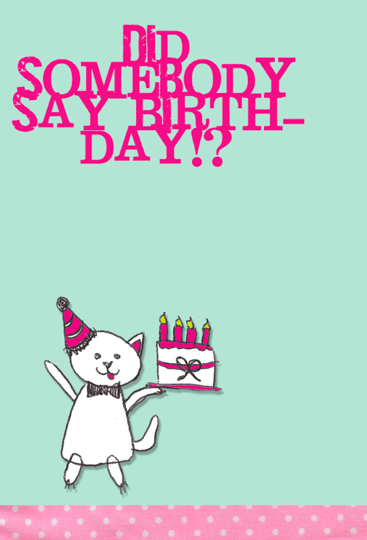 Happy Birthday to me! Shame about the horrible weather here in Brighton- but nevermind! This card is part of my girls ‘Away with the fairies range’. It’s Easter- which means chocolaty yumminess! 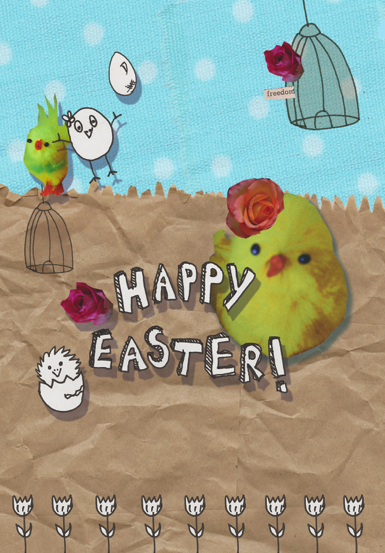 Hope you all have a very happy Easter! 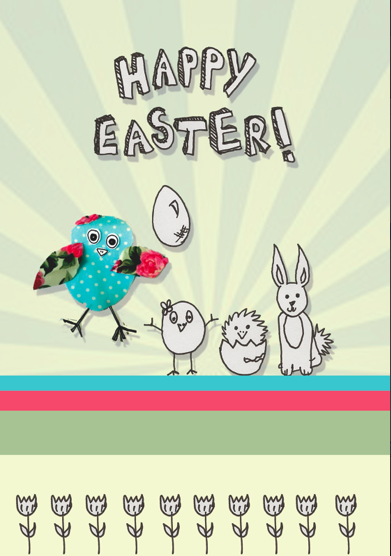 Remember you can still vote for my Easter ‘Dotty Chicks’ design in the Pinterest competition, it only takes one click: http://www.printed.com/competitions/easter-printed-2012. Voting closes tomorrow so be quick! Thank you! Well the Makers Boutique is over for this month and it was certainly a busy one! The food festival in New Road helped bring in the crowds and the rain stayed way-hoorah! Thanks to those who came, there were some lovely things from lovely local people! Pics will be up soon, so keep a look out! Hope you all have a Happy Easter! Makers Boutique Craft Fair- Tomorrow! 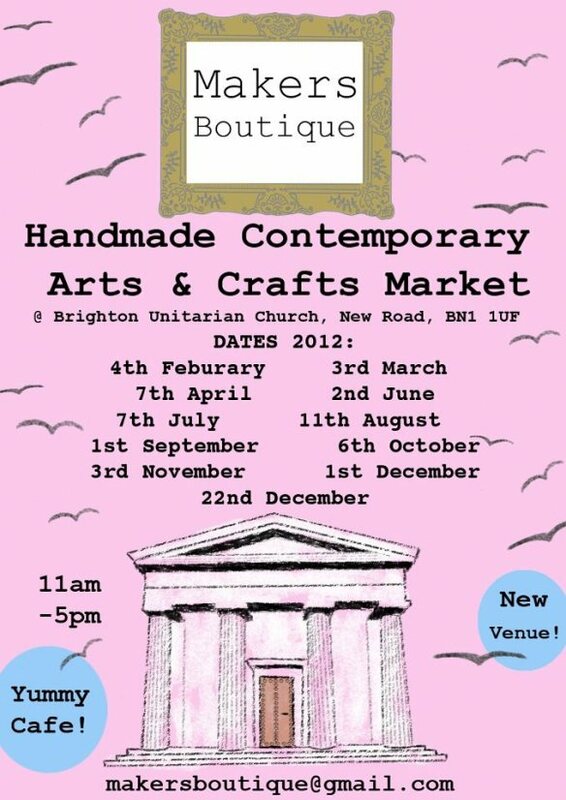 It’s the Makers Boutique craft fair tomorrow in Brighton! Come along for all things handmade and lovely. 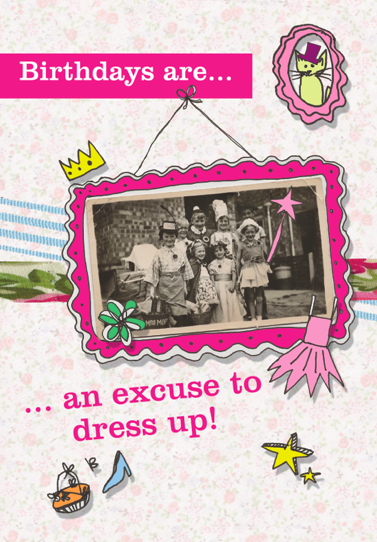 I will be selling a range of easter gifts, Brighton seaside themed ranges, and special edition Jubilee and London 2012 items! 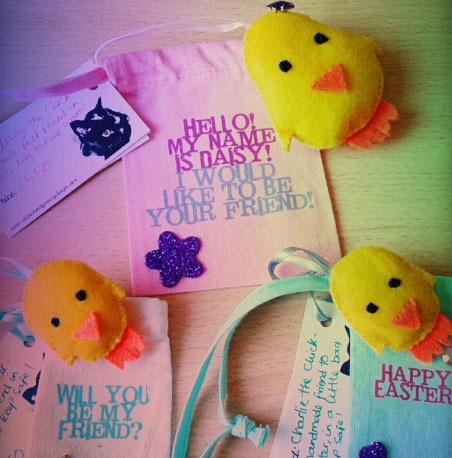 Pocket mirrors, cotton bags, badges, stickers, handmade felt chicks, goody bags, mugs and more! Why not come along and take a peek at all the wonderful sellers for yourself! Open 11am-6pm (extended hours! ), Unitarian Church, New Road, Brighton (just along from the Theatre Royal)! Hope to see you there, and Happy Easter!! I have now published my Greeting Card Gallery of all my designs, including my limited edition 2012 ranges ‘Fit for A Queen’ and ‘This is London Calling’. All cards are available now. Contact me if you would like to place an order. They will all be available to buy at the Brighton Spring Craftaganza and the May Artists Open Houses, as well as other Brighton outlets. See the Events page for all the details and updates. Happy Halloween for tomorrow everyone!